It's a known fact that I love a good dungeon crawler. 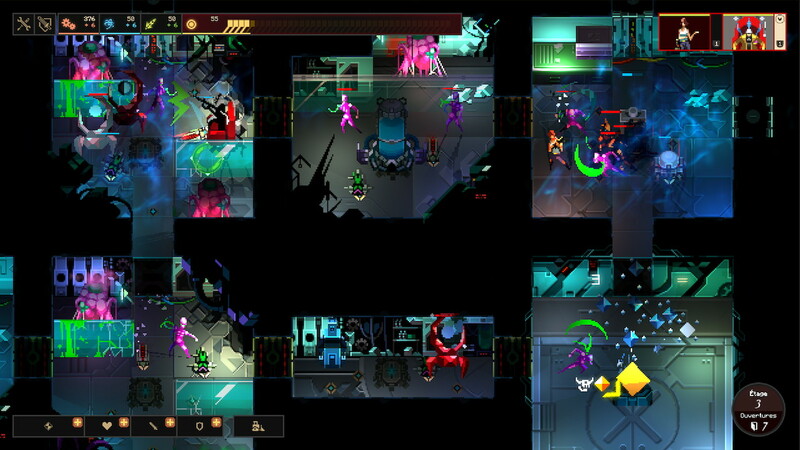 And even though I love to hack and slash with the best of them, I also enjoy taking on a different experience from a different perspective, with a different twist -- and "Dungeon of the Endless" delivers just that. DOTE is quite the "rogue-like-meets-tower-defense-like" game, developed and published by Amplitude Studios. It was first released b... more. Award-winning indie developer Amplitude Studios announced today its popular dungeon-defense roguelike game Dungeon of the Endless is available now on Xbox One. Featuring updated and polished controls tuned for the Xbox One and a new and improved user interface, this unique blend of roguelike, RPG, strategy, and dungeon-defense genres has been hand-crafted for Microsoft’s platform. Console pla... more. Award-winning indie developer Amplitude Studios announced today that Dungeon of the Endless will be free to download starting today through next Monday, March 14th, for iPad on the App Store. Featuring a smart interface with quick, one-touch controls, a well-balanced blend of do-or-die gameplay, dungeon-defense strategy, and RPG elements, Dungeon of the Endless is a must download game. Defend yo... more. Award-winning indie developer Amplitude Studios will bring its popular dungeon-defense game Dungeon of the Endless to Xbox One on Wednesday, March 16th. Coming with updated controls, an improved user interface, and the already critically-acclaimed single-player mode, the Xbox One version of Dungeon of the Endless also features a dynamic four-player cooperative multiplayer mode via Xbox Live. �... more. Award-winning indie developer Amplitude Studios has donned its Halloween outfit and is prepared to spook its long-time PC fans with a ghastly free “DEATH GAMBLE” update for Dungeon of the Endless, the rogue-like dungeon-defense game that specializes in death. Starting today and for the whole week of Halloween, players are in for a number of dark and tricky treats. They will encounter Death,... more. Critically-acclaimed indie developer Amplitude Studios announced today the next expansion for its award-winning 4X strategy game Endless Legend. Due this summer on PC, Endless Legend Shadows integrates a highly requested and anticipated feature with a new the espionage system that gives players the chance to spy, infiltrate, pillage, and assassinate. Endless Legend Shadows also introduces a major ... more.